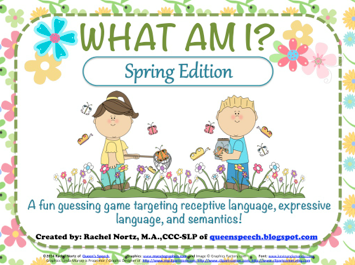 Spring Edition of What Am I? is here! 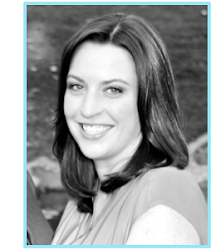 Targets: A fun guessing game targeting receptive language, expressive language, and semantics! 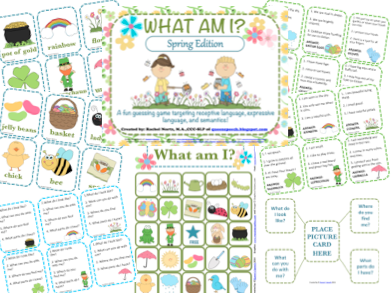 Receptive Language skills (pages 3-6)= 20 Spring vocabulary cards. 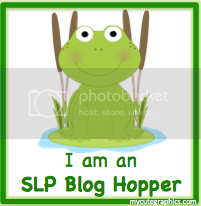 SLP or students may lead (you decide). 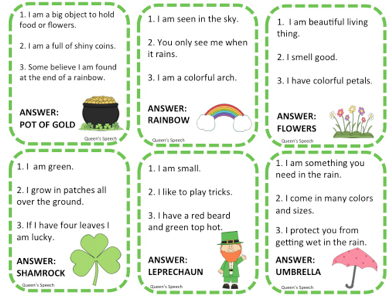 Use the light green vocabulary cards to target receptive language! Read each clue to students and wait. See how many clues it takes for them to guess the object. If this is difficult for the students, place all the big picture cards (teal) on the table, so the students can guess based on the pictures available. Expressive Language and Semantics (pages7-14): use the light blue cards to have students come up with descriptions and lead the game themselves. Have students think of a word for each category and let the group guess. 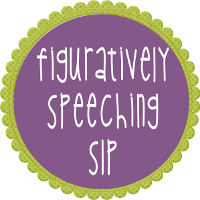 This will expand students descriptive vocabulary skills. 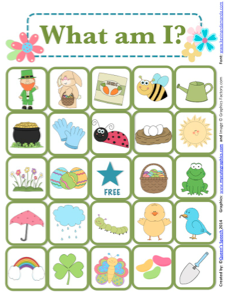 Bingo Cards (pages 15-19): use the receptive/expressive/semantics cards to play bingo! Descriptive Mat (page 20): To practice how to describe the object as a group, place a teal picture card in the middle, as a group talk about the attributes of that object! Other fun uses: Place the big picture cards face up on the table. 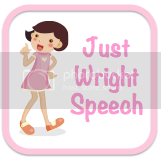 Have students pick one or more cards and create sentences or stories! Print two copies of big picture cards and play memory.